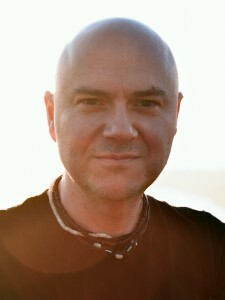 English born Dean Yurke has worked in the film industry for over 20 years and has credits on 50 major motion pictures. After graduating with a degree in media production and a masters in computer animation, his award winning student film landed him a job with Terry Gilliam’s visual effects company, Peerless. There he headed the computer graphics department and was computer graphics supervisor on several notable features including 12 Monkeys,The Edge and Surviving Picasso. In 1997 Dean moved to California to join George Lucas’ Industrial Light and Magic to work on the Star Wars prequels. He has worked as an animator, digital artist or sequence supervisor on some of the highest grossing franchises of all time including Star Wars, Transformers, Harry Potter, Star Trek, Pirates of the Caribbean, Iron Man and Avatar. Click here for full film credits on IMDb. It took me four separate attempts to watch Stanley Kubrick’s 1980 classic The Shining. I was so terrified, I couldn’t get through it. Finally I had to watch it with all the lights turned on as I hid behind a large cushion…I was 28. Since then I’ve wanted to create a film that would sit well with fans of The Shining, The Thing, The Others and The Ring. But I also wanted to combine those forces with a moral dilemma like in, A Simple Plan or Shallow Grave. The result is STAY OUT STAY ALIVE. Inspired by California, its stunning redwood forests, its neolithic history and its brutal past. A story of beauty and innocence destroyed by greed. To complement the story of STAY OUT STAY ALIVE I will bring to it 20 years of visual effects experience working on films such as Star Wars: The Force Awakens and Star Wars: Episodes 1, 2 & 3, Pirates of the Caribbean, Transformers, Ironman and Avatar. Working in VFX I realize that the most powerful effects are the ones on the mind, not the eye. It’s what you think you see that’s always the most scary. The effects in STAY OUT STAY ALIVE are there to blur the world between natural and the supernatural, the real and the imagined. I never want the audience to feel safe – that way we’ll all be on the edge of our seat!